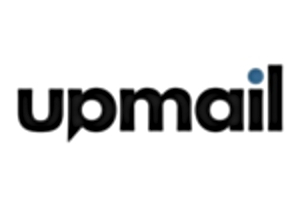 In order to set up UpMail with your own SMTP server as a user, your UpMail account manager must have enabled the feature in Upmail in advance. We recommend configuring UpMail to send emails directly from your own corporate SMTP email server to increase your chance to reach your recipients inbox. Note: If you have enabled your two-step verification on your email account (Outlook, Office 365 or Gmail) you will need to generate an App password. See the instructions at the bottom of this page. 1. Navigate to your My Settings page. 2. Select Delivery Channel and enter the credentials associated with your own email address. Not your UpMail password, your Outlook or Gmail password. 4. You should receive an email confirmation immediately after that, stating that your SMTP settings are correct. If you have enabled your two-step verification on your email account (Outlook, Office 365 or Gmail) you will need to generate an App password. If you have any problem with this please contact us for extra help: hello@upmailsolutions.com.